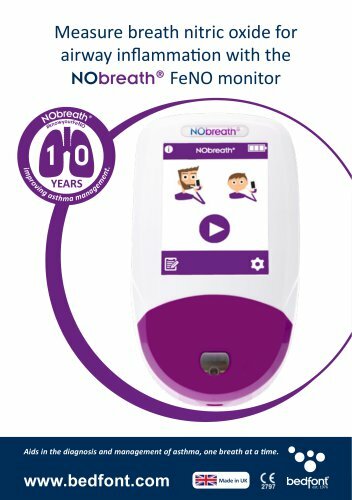 Measuring FeNO with NObreath® IT’S AS EASY AS: Inhale Consumables NObreath® Mouthpiece The NObreath® mouthpiece is single-patient use and incorporates a one-way valve to prevent air being drawn back from the monitor. Monitor Cleaning Wipes Free from alcohol to ensure continued performance of your monitor. Pack of 50 wipes.